Linda Gordon on Fred Trump, plus Nancy MacLean on the roots of the right. The KKK of the 1920s had millions of members outside the South. It targeted Catholics and Jews as well as blacks, and had impressive success at electing governors and congressmen. It passed anti-immigrant restrictions that remained in effect until 1965. And Fred Trump, the president’s father, was arrested as a young man at a Klan march in New York City. 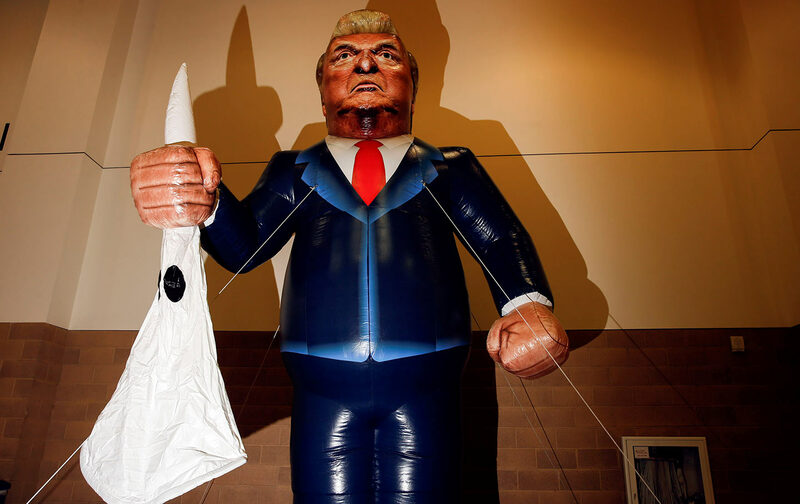 Historian Linda Gordon explains—her new book is The Second Coming of the KKK: The Ku Klux Klan and the American Political Tradition. Plus: Nancy MacLean uncovered the deep history of the radical right’s stealth plan for America: the historical connection between the Koch brothers’ anti-government politics, the white South’s massive resistance to desegregation, and a Nobel Prize–winning Virginia economist. Nancy is an award-winning historian and the William H. Chafe professor of history and public policy at Duke University. Her Democracy in Chains was named “most valuable book” of 2017 by John Nichols on The Nation‘s Progressive Honor Roll.